While congress continues to debate the issues surrounding the funding of Social Security, Medicare, and Medicaid, millions of Americans face the daunting challenges of making it through the month on a fixed income. Over the past years taking care of family members receiving Social Security or Social Security Disability payments, I have learned how to make the most out of little money. Each year, the amount of the benefit payment grows slightly, but it’s not nearly enough to live the same lifestyle as many people who are still employed. To help you adjust to the lower-income of Social Security, try making some of the following lifestyle changes. I remember being a teenager and hearing about planning a budget. However, I never really understood what a budget truly meant. Obviously, you would get paid and pay your bills, but I never thought it would be planning out payments throughout the month, making arrangements, or sometimes, deciding which bills to pay. Plan your budget by writing down all of your monthly expenses. If any of these expenses are not necessary, like a 55” television, strike it from your budget. In fact, I had to do this myself, and I found that a 32″ television provided the same enjoyment as my larger TV without the huge cost. You have to pay the necessities above all else, which include food, utilities, insurance, and transportation. In some cases, you may have to sacrifice your transportation, if you drive an expensive vehicle. One of the first things to sacrifice when my family members began receiving Social Security was expensive cellphones. However, we felt lost as we did not have a landline phone either, so I began searching for other options. At first, we purchased a prepaid phone, so we could control out costs more. A few months later, I found SafeLink, a cellphone carrier that offers discounted cellphone service for low-income households. SafeLink offers a free cellphone, 500 minutes, and unlimited text messages to those receiving Social Security payments per household. You only have to sign up and send in a copy of your benefit verification letter, which you can get online by visiting the Social Security Administration My Benefits. When my family members first began receiving SSDI payments, we had central heating and air conditioning. However, our monthly electric bill could easily be as much as $300, so we had to change how we regulated the temperature in our home. We stopped using the central unit, and purchased several small heaters and portable AC units. When I spend time in any one room, I would turn on the AC or heater in that room. I only purchased two portable AC units, so my family and I could be comfortable if we were in different rooms. My electric bill dropped by half within the first month of this transition, and several other family members have taken my advice and cut their energy costs by employing this tactic. In fact, some of them have well-paying jobs and choose to save money for a rainy day this way. When you begin receiving SSI or SSDI payments, you may or may not have health insurance. However, the medical and prescription expenses can be one of the most burdensome expenses. I decided to start looking for co-pay and assistance programs to alleviate some of the cost. I signed up for dozens of discount programs online, which required no money to sign up, such as the Pfizer Lyrica Co-Pay Program. This reduced my medical costs by nearly 90% within the first two months. The Social Security Administration does not allow those receiving SSI or SSDI to save money to make large purchases. They see it as “if you aren’t spending it, you don’t really need it.” This is an unfortunate reality, but I learned a quick way to still make large purchases without involving savings accounts and such. I started spending more time looking for what I wanted in the newspaper, Thrifty Nickel ads, or online, and I found that many homeowners, or vehicle owners, are willing to carry the note on such items. This removes the bank from the equation. However, it can be difficult to find brand new homes or vehicles, but it will help you cope with the trials of a fixed income. My life changed when my close family members began receiving Social Security payments, but I found a way to deal with the lower income. If you are struggling to live on the minimal income of Social Security, try at least one of these tips now. Once you see your struggles start to soften, it will encourage you to use all of these tips. 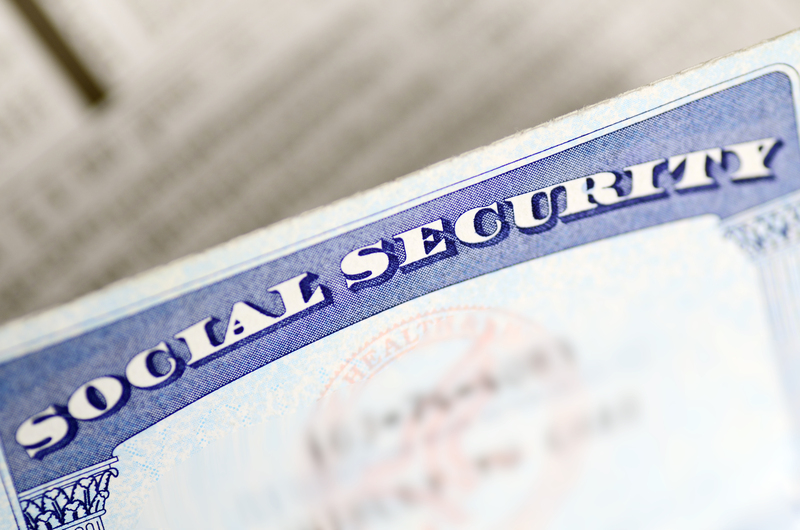 Living on Social Security is a trick, but it is not impossible if you know what to do. If you do follow all of these tips, you may have some money left over for the “unnecessary comforts” of your life. This entry was posted in Frugal Living on June 30, 2015 by admin.